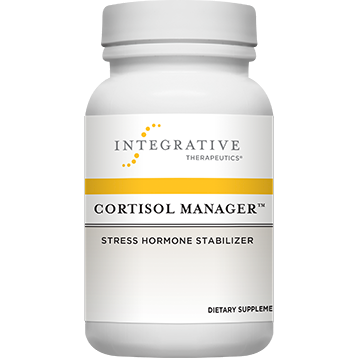 Cortisol Manager is formulated with stress-reducing ingredients and botanicals to promote relaxation, help alleviate fatigue, and support healthy cortisol levels. By balancing cortisol levels, Cortisol Manager can help reduce stress, which supports a restful night’s sleep without diminishing daytime alertness. Recommendation: Take 1 tablet before bedtime, or as recommended by your healthcare professional.